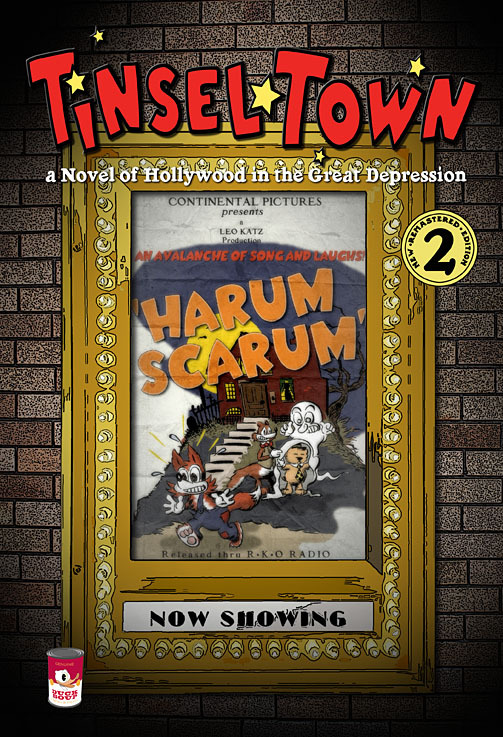 It's Duck Soup: Keep a Little Song Handy: TINSEL*TOWN #2 is here! At long, long last (or so it seems to me, anyhow), delayed only by the publication of print editions for Persephone’s Torch and Méliès' Notebook, Tinsel*Town #2 is now available in its PDF edition, exclusively from this site. See the BOOKSTORE page for details. The enhanced iBooks version (which is really danged cool; this is the way comics will be read in the future, mark my words) should be ready to go by the end of the weekend — it will be available at the same price both here and worldwide at Apple's iTunes. Watch this space for the update. But that’s not the BIG news. The BIG news will have to wait until next week. The BIG news is really exciting. I can hardly restrain my typing fingers from blabbing the whole secret. But — it’s not a completely done deal yet, and I don’t want to jinx it by making the announcement now. My fingers are still crossed on this one. Thanks to everyone for visiting me here on the blog. I appreciate each and every hit. You’re what’s keeping me going! Well, you, and my Quats.